Enjoy a nice evening boarding our air-conditioned minibus for a city tour of Paris followed by a visit of the Eiffel Tower. This is an ideal opportunity to visit Paris if you are staying for a short time, with a pick up and drop off at your apartment or hotel. Your driver-guide will pick you up at your hotel or apartment in Paris around 8:00pm. During a minibus sightseeing tour of the french capital, you will see the main quarters, the illuminated bridges and the Seine banks, the places and the top Paris monuments. Your guide will tell you about the history of these outsanding sites and will be able to answer to all of your questions regarding the parisian heritage. Among them you can admire: Concorde square, Champs Elysées, Eiffel Tower, Louvre museum, Notre Dame Cathedral, Opera House. After about an hour and a half-long city tour, your guide will drive you to the foot of the Eiffel Tower. A skip-the-line ticket will enable you to reach the 2nd floor easily and quickly to visit the Eiffel Tower at your own pace. Admire the great and panoramic view of Paris and explore the emblematic sites of the City of Lights in a unique way, including: the Champ de Mars, the Sacré Coeur at the top of Montmartre, Invalides with its golden dome and the Arc de Triomphe. Experience an unforgettable night while you see Paris lit up from the Eiffel Tower. After this one hour visit, the driver-guide will take you from the bottom of the Iron Lady to drop you off at your hotel or apartment in Paris. During the summer time, from June to August, a part of the tour will take place in daylight. The itinerary and the times mentioned can change depending on the traffic conditions and the visiting hours for popular sites. The Skip the Line access to the Eiffel Tower is subject to constraints: security checks or unforeseen traffic can cause a waiting time that can sometimes exceed 1 hour. You will receive your booking confirmation by email, as well as your voucher. Present it to the driver-guide who will pick you up at your accommodation within 30 minutes which follow the time indicated on the voucher. Take small group tours of Paris in a friendly atmosphere. Get priority access to visit the Eiffel Tower on the 2nd floor. 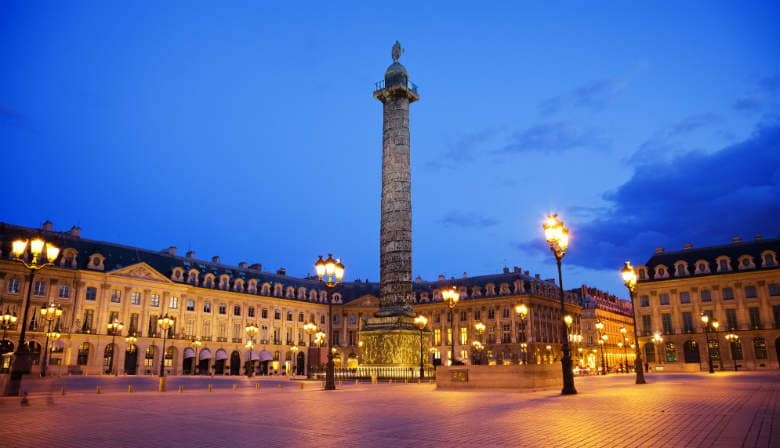 Experience the breathtaking panoramic view of the top Paris monuments and quarters.